Which Came First chicken dishes by Chef Phill Milton. Image courtesy of Galley Group. Which came first, the chicken or the egg? You can figure that out for yourself in just two weeks. 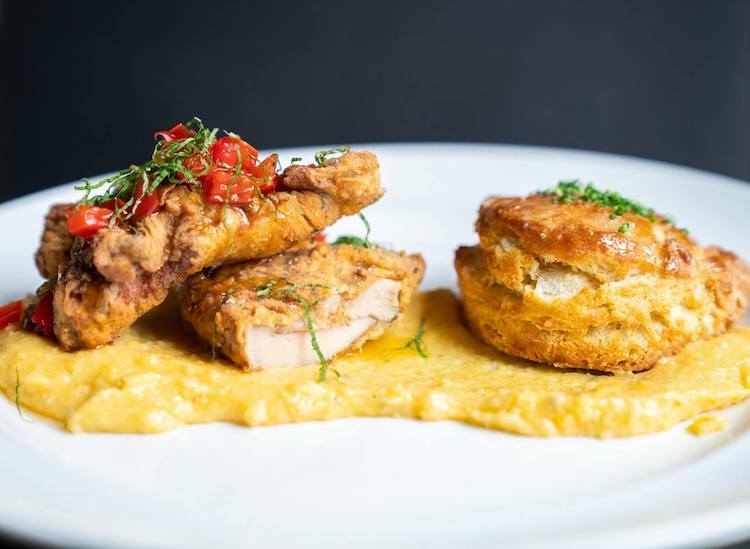 Chef Phill Milton, whose wickedly good fried chicken has been feeding hungry Pittsburghers at Home since last June at Smallman Galley, has created another chicken-focused pop-up. 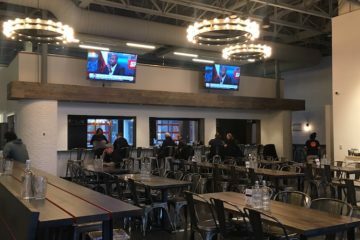 Which Came First will open May 2 at Federal Galley on the North Side. 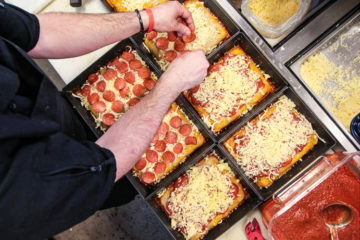 Milton is still doing high-end comfort food, this time with a focus on customization. Fried chicken by chef Phill Milton. Image courtesy of Galley Group. As they order, diners at Which Came First will choose their protein (chicken breast, thigh or eggs), cooking method (pickle-brined or grilled) and preferred flavors. Options will include the Havana (house-made pickles, honey ham, dijonnaise, roasted pork, swiss cheese), The General (you guessed it: General Tso’s sauce, mandarin slaw, crispy wontons, mayo) and the Gabagool (marinara, fresh mozzarella, pesto aioli, capicola and soppressata). There will also be “eggstras,” including Tempura Fried Onion Rings, Deviled Eggs, Four Cheese Mac and Nashville’s Hot Poutine. And expect brunch service, which includes fried chicken and funnel cake. Federal Galley will also be home to Guapo by George Adelo, a new chef for Pittsburgh but an experienced hand at cooking New Mexican dishes. Adelo grew up behind the counter at his family’s general store in New Mexico, learning to cook burritos, tamales and other classic New Mexican dishes. Then came law school and a move to Pittsburgh. Guapo is his first restaurant business and will focus on Northern New Mexican dishes. The Galley Group says diners should expect plenty of red and green chiles, beans, squash, corn and braised meats at Guapo, which opens June 4. Adelo will source some ingredients from New Mexico, and will buy local as well. Guapo’s menu will include the Burro, a large meat or veggie burrito with beans, sharp white cheddar cheese and papitas fritas. You’ll also find his family’s recipe for enchiladas stuffed with shredded stewed chicken, slow braised beef or calabacitas (a traditional fire-roasted vegetable mix). Those are topped with sharp white cheddar and either Hatch red chiles, green chiles or a “Christmas” mix (half red, half green). Also: blue corn pancakes served with pinon butter, homemade fruit compote and maple, red chile bacon. And stay tuned for news on the new restaurant concepts coming to Smallman Galley this summer.